"I am stoked to have been able to attend this. It was the greatest affirmation of what has been cultivated in my own heart and mind, and what I have been trying to cultivate in the hearts and minds of my clients. CrossFit can and has changed fitness and the perspective of what is humanly possible, but I believe that the changes that matter are the ones we can’t see, and it made me so excited to see this message put out there so effectively. The seminar was great. The presentation so genuine. Greg, I see you just have so much love for the people around you, and that is what inspires me most of all! I am honored to know you. Thank you for leading by example." If you have a great photo you'd like to submit to be considered for possible use on the main site, Submit A Photo! Note: For the timed evolution, rest up to 3:00 between rounds. Men’s Kettlebell weight is up to 53lb. and women’s up to 35lb. Can anyone average a sub 5:00 round for all 3 rounds? Compare todays effort on the Run/Row evolution to February 24, 2015, and April 23, 2015. The Row, to Run, to Swing is an amazing triplet and potent stimulus on the posterior chain. 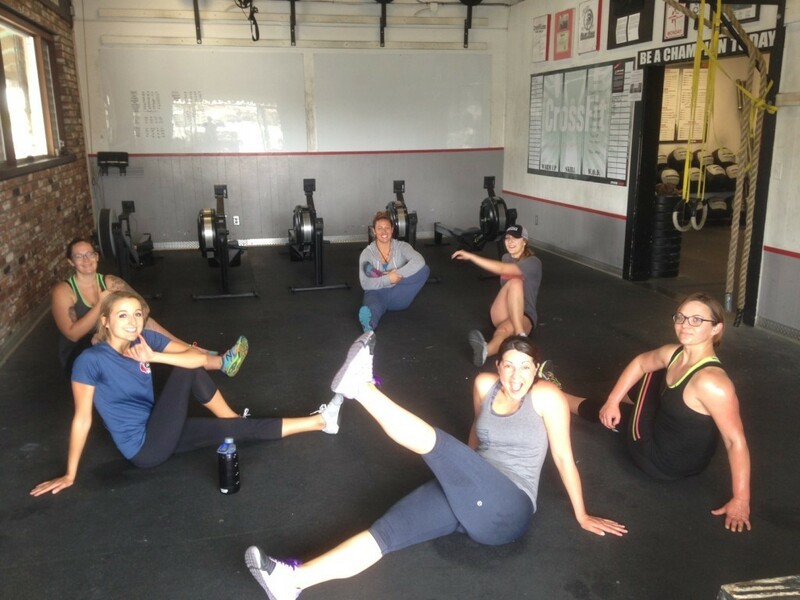 Ladies CrossFit Class Post-WOD Stretching! Rest up to 2:00 between rounds. Todays Endurance WOD will include EPIC Van Transportation to Blue Ball Park. Note: Teams of 2 will have 20:00 to complete As Many Rounds As Possible of todays workout. After one partner completes their round, they will “tag” their partner. © 2019, CrossFit Amundson. All rights reserved. Website design by Brooktown Design.